We can provide any size, or any number of compartments with a variety of profiles. All lids can be moved into any position, allowing service outlet parts to be placed wherever needed. 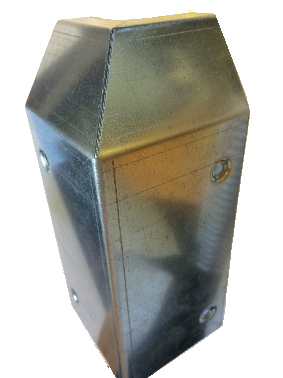 Any finish is available: white, self colour (zintec), galvanised steel, powder coated, stainless steel or brass. All ranges with unequal compartment layouts (all except J2) are designed to have socket outlets all aligned and are supplied with knockouts in the partition at 200mm centres. Common accessories are shown below. To order, state range followed by part reference, and lid finish. For example, J2-50 is a 2m length of J2 profile body. To order, state range followed by part reference, and lid finish. For example, J2-50 is a 2m length of J2 profile body. 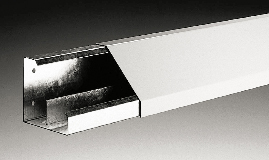 All trunking is made from 1.2mm steel. All lids can be moved into any position, allowing service outlet parts to be placed wherever needed. All ranges except J3 are designed to have socket outlets all aligned. 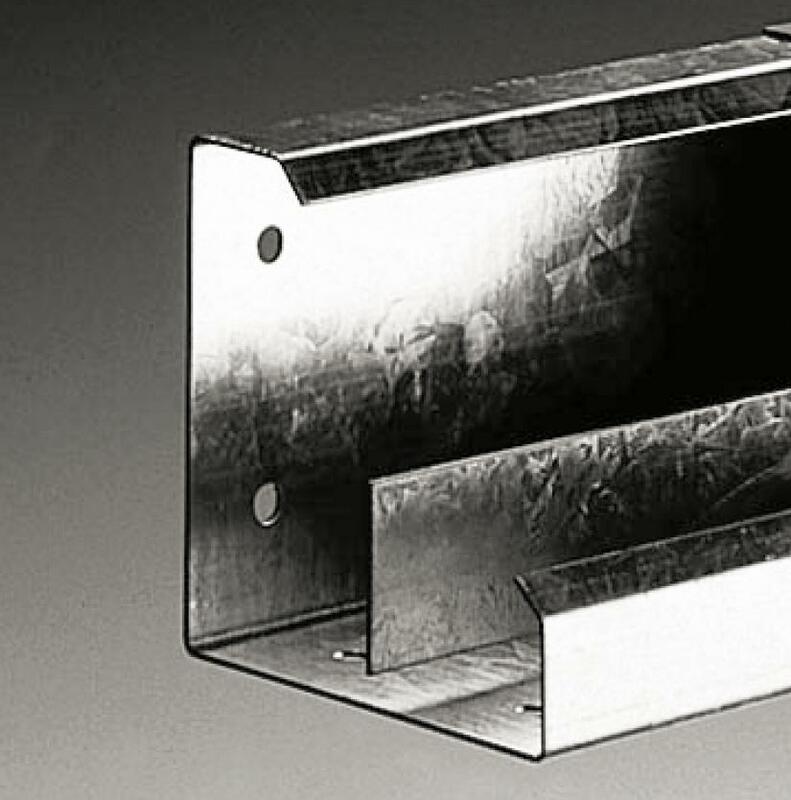 These ranges are supplied with knockouts in the partition at 200mm centres which enables bodies to be fitted prior to the wiring layout being finalised. Socket outlet plates are then placed where required.